Sales of existing homes and their prices continued to rise in February affirming, according to the National Association of Realtors® (NAR) which released the data, a healthy recovery is underway in the housing sector. Existing home sales increased 0.8 percent to a seasonally adjusted annual rate of 4.98 million in February and were 10.2 percent above the 4.52 million level in February 2012. January sales, originally reported at 4.92 million were revised upwards to 4.94 million. Existing home sales, which include single family homes, condominiums, townhouses, and cooperative apartment, have increased on an annual basis for 20 consecutive months while prices have increased year-over-year for 12 months. Sales in February were at the highest level since November 2009 when the homebuyer tax credit was in effect. Single-family home sales slipped 0.2 percent to a seasonally adjusted annual rate of 4.36 million in February from an upwardly revised 4.37 million in January, but are 8.7 percent above the 4.01 million-unit pace one year earlier. Existing condominium and co-op sales rose 8.8 percent to an annualized rate of 620,000 in February from 570,000 in January, and are 21.6 percent above the 510,000-unit level a year ago. The national median existing-home price for all housing types was $173,600 in February, up 11.6 percent from February 2012 and the strongest annual increase since May 2006 which also marked the last time there were 12 consecutive months of year-over-year price increases. The median single-family home price rose 11.3 percent to $173,800 and the median condo price was $172,000, an annual increase of 13.9 percent. The inventory of existing homes rose 9.6 percent to 1.94 million, a 4.7-month supply at the current sales pace. In January there was a 4.3 month supply, the lowest since May 2005 and in February 2012 the inventory stood at a 6.4-month supply. Foreclosures accounted for 15 percent of existing home sales in February and short sales for 10 percent compared to 14 percent and 9 percent in January. Total distressed sales in February 2012 represented 34 percent of all sales. Foreclosures sold for an average discount of 18 percent below market value in February, while short sales were discounted 15 percent. The median time on market for all homes was 74 days in February compared to 97 days in February 2012. Short sales were on the market for a median of 101 days, while foreclosures typically sold in 52 days and non-distressed homes took 77 days. One out of three homes sold in February was on the market for less than a month. The percentage of first-time buyers was unchanged from January at 30 percent and investors accounted for 22 percent of sales compared to 19 percent in January. Thirty-two percent of sales were all cash compared to 28 percent in January. February existing-home sales in the Northeast fell 3.1 percent to an annual rate of 630,000, but are 8.6 percent above February 2012. The median price in the Northeast was $238,800, which is 7.6 percent above a year ago. Sales in the Midwest slipped 1.7 in February to a pace of 1.14 million but are 12.9 percent above a year ago. The median price in the Midwest was $129,900, up 7.7 percent from February 2012. 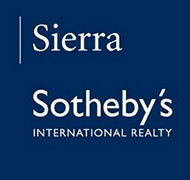 Sales increased 2.6 percent to an annual level of 2.01 million in the South and are 14.9 percent above February 2012. The median price was $150,500, 9.3 percent higher than a year ago. The West saw sale rise 2.6 percent to a pace of 1.20 million in February and are 1.7 percent above a year ago. With limited choices and multiple bidding, the median price in the West rose to $237,700, an annual increase of 22.7 percent.